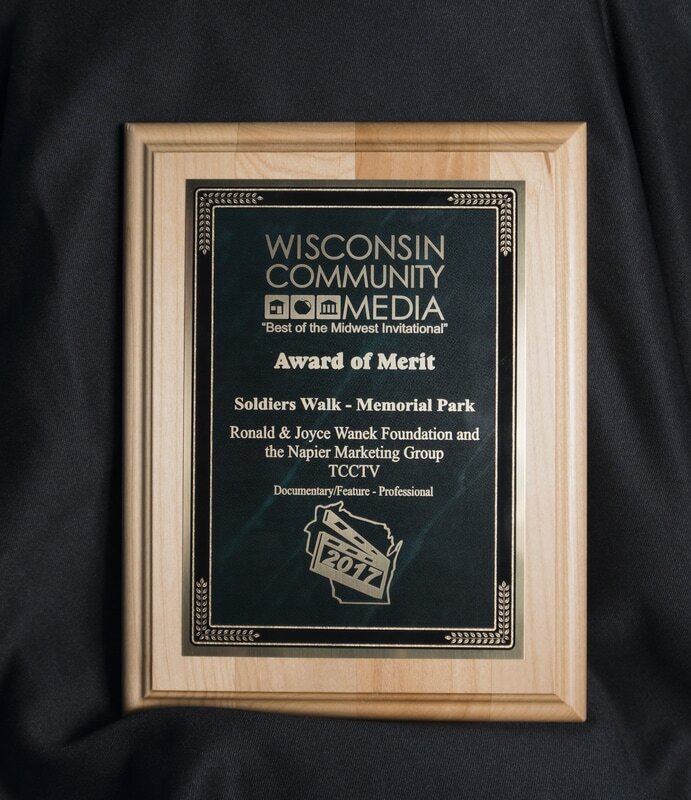 ​Trempealeau County Community TV program on Soldiers Walk Memorial Park received an award from Wisconsin Community Media at the annual Media Fest in April, 2017. The total project took 12 months to complete. Bill spent over 400 hours researching each monument and conflict to write the script and record the voice track for each monument. TCCTV edited the voice tracks, still and video camera footage, graphics, and images all together to create a story for each monument. It was imperative that the program could run as a full-length documentary of the park, and have individual segments that worked as standalone video pieces explaining each monument and conflict. These video pieces were then intended to provide visitors to the park a virtual tour and lesson by calling up their location on the Soldiers Walk on their smart phone or tablet.